As the owner of the help centre, I initiated a project to redesign the returns help topic as it is our most visited article. 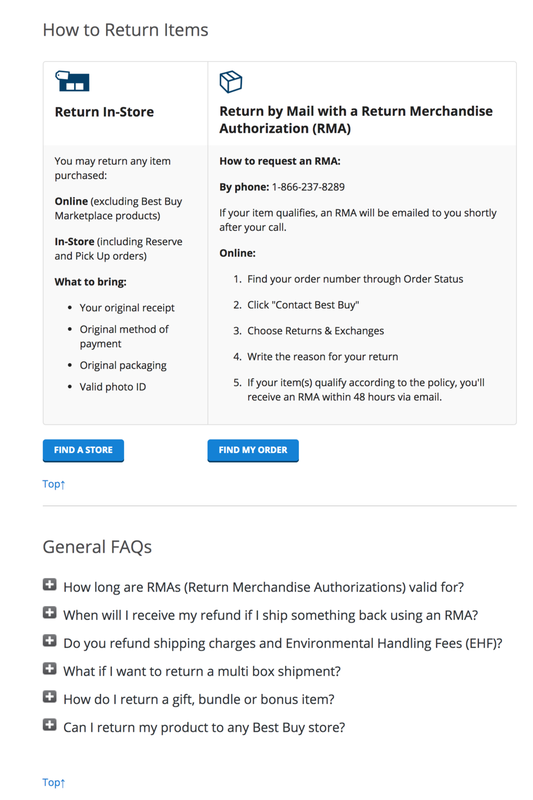 We reorganized the information and added navigation so that users could easily find out how to return their item once they'd determined it was within the policy for their specific product. I engaged our user research team and we created testing that helped confirm our hunch that navigation, better organization and an audit of the content would enhance the user experience.